Did you think Google's intentional downgrade OTA for the Nexus 6 from yesterday was bad? Google appears to be on a mission to break as many products as possible, and next up is the Google Drive client for Windows. If you've ever used Google Drive (or similar cloud services), you'll know that there is a Windows client that syncs all your Drive files locally to your computer. It hasn't received much attention over the years, and is rather buggy. As for the good news - Google seems to be working on an updated version. The bad news is that an unfinished and broken build is being pushed live. Just a few of the many bug reports. 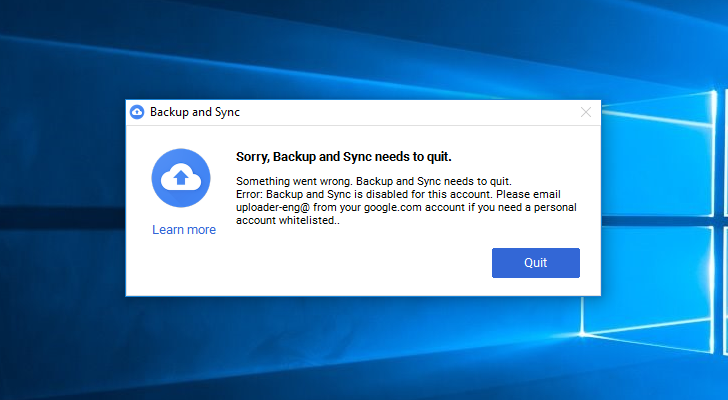 Hundreds of users on Google Product Forums, Reddit, and social media are reporting that the Google Drive sync client for Windows has self-updated to 'Backup and Sync,' but no longer actually syncs anything. Attempting to open the program results in the above error, saying "Backup and Sync is disabled for this account." Google Drive on my home server (running Windows 10 Pro) just switched to the new version, but my desktop PC hasn't updated yet. Further proving that this was not intended for release is a "Do not leak!" warning when clicking the Drive icon in the taskbar. Oops. Unfortunately, there doesn't seem to be a way to disable auto-updates or roll back to the previous version. We've reached out to Google for a response, but this has already turned into a colossal mess. With Google trying to make G Suite more attractive to businesses, breaking Drive might end up being a costly mistake. 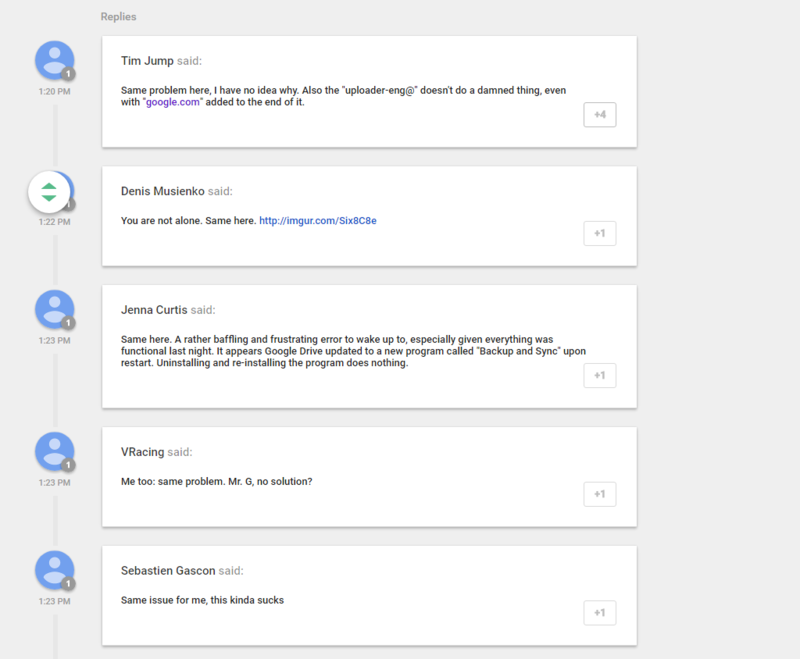 We're aware of a problem with Google Drive affecting a significant subset of users. The affected users are able to access Google Drive, but are seeing error messages and/or other unexpected behavior. We will provide an update by 3/16/17, 3:41 PM detailing when we expect to resolve the problem. Please note that this resolution time is an estimate and may change. Some users of the Google Drive Sync client will be receiving the error message "Sorry, Backup and Sync needs to quit." Google Drive service has already been restored for some users, and we expect a resolution for all users within the next 12 hours. Please note this time frame is an estimate and may change. We are deploying an updated client now. The Windows client will automatically update with this fixed version within the next 12 hours. Alternatively, affected users can download the updated version of the client from https://www.google.com/drive/download/. Affected Windows 10 users may be required to sign in to their Google account within the client.